The price of concrete overlay can be anywhere from $25 to $150 per square metre. This is a wide range of prices. There is a big difference between doing a complete concrete resurfacing and just a light overlay for decorative purposes. If you simply want to add some life to your old concrete driveway or patio, it will be a simple task and it won’t cost you much. However, it your overlay needs to be preceded by concrete removal or repair, that task will be much more expensive. How do you know if you can just do a spray on concrete overlay without repairs? You need to ask the experts. 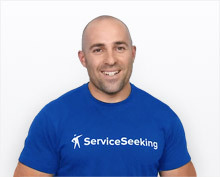 The best option and the cheapest option is to hire a professional. Repairing concrete can be just as expensive as pouring a new concrete slab, so find a reasonably priced professional for your concreting project. Ask for quotes for your concrete resurfacing project. That is the surest way to plan your budget and get your work done. How Much Does Concrete Stenciling Cost? Be prepared to pay anywhere between $45 to $65 per square meter for stenciled concrete. The price will depend on the number of colours you want for your project and the complexity of the pattern. The stenciling is done mostly on dry concrete. The concrete slab needs to be clean and dry. If there are any cracks, they have to be removed and sealed. Then, stencils are placed over the concrete slab and the colouring agents are applied over it. If this is done by a good professional, stenciling can mimic all sorts of textures. There are amazing indoor stenciling projects that truly enrich the homes with imaginative interior designs. 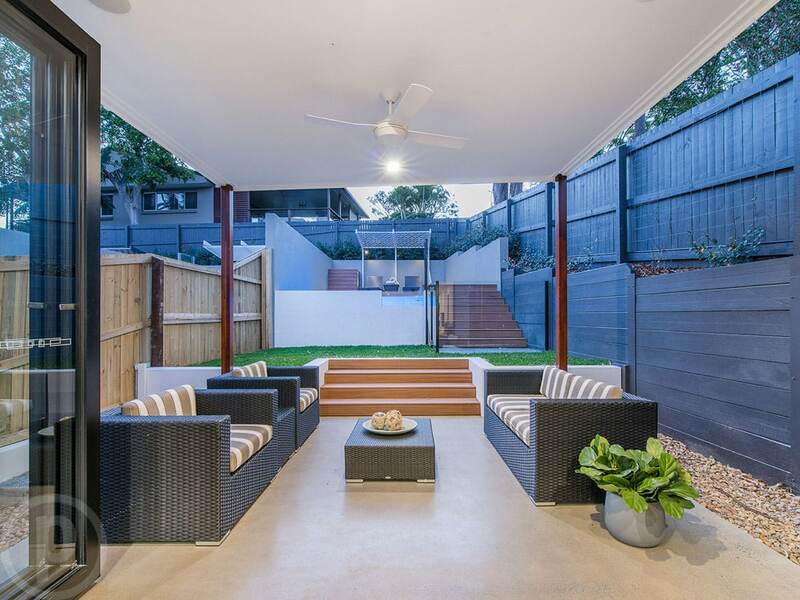 Stamped concrete costs around $75 per square metre, but that price can be ramped up easily. While you do not pay for the difference in colours, you definitely want to try different sealers and treatments for your stamped concrete. This type of concrete decoration is done by people who want to up their design a notch. Stamps are pressed on the wet concrete, so the result also includes texture. In that way, it is easy to turn your plain old concrete into a brick pathway, for example. Stamped concrete can look like flagstone, cobblestone, tile and other materials. It is treated with different sealants, so that it lasts longer. It can even look like timber! 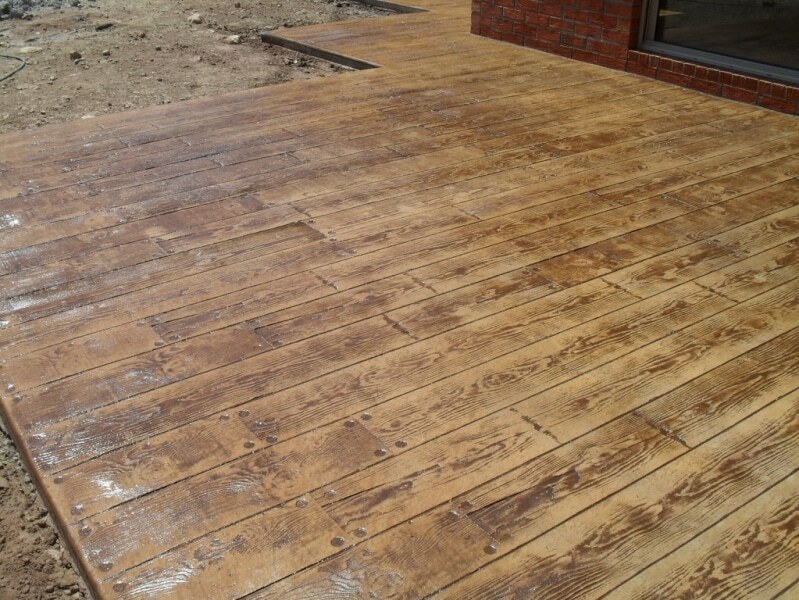 In time, your stamped concrete can look a bit tired. In other words, it can start fading. All you need to do is re-apply the sealant and it will liven up. In general, freshening up of this kind is necessary every 3-4 years, depending on where the concrete slab is and how much it is used. How Much Does It Cost for Concrete Polishing? Concrete polishing is usually done on the indoor floors. The cost of concrete polishing is $50 per square metre to $150 per square metre. It all depends on the type of surface and on the type of polishing. Generally, there are two ways to polish a concrete slab. Grind and seal is the polishing method that is performed on the outdoor concreting work. The name says it all. The first step is to ground the concrete surface until the certain level of smoothness is achieved. These levels go from 1 to 10. Usually, the smoothness level is number 2 for most projects. After the grinding comes polishing. Again, the more polishing is done, the more exposed the aggregate is and the surface is shinier. Grind and seal is done for both outdoor and indoor surfaces. However, for a more refined look, people usually use honed polishing. This is a variant of grind and seal, but the surface is treated with sealers that penetrate the concrete and don’t leave the shining surface behind. Another, more thorough method of polishing floors is Mechanically Polished Concrete (MPC). This method is used only for indoor surfaces. There is more grinding and polishing involved and the concrete is enriched with densifiers and hardeners. It doesn’t require sealing and it makes the concrete extremely durable. With all of these treatments, there is a question of aggregate exposure. Namely, while a concrete slab is ground, layers are removed from the slab. In that way, more and more aggregate is exposed and visible. Aggregate are all those pebbles and stones that are found in concrete. Some people don’t want them visible, while others find that variety refreshing. Since more aggregate exposure means more work, it will also mean higher pricing. How Much Do Stained Concrete Floors Cost? 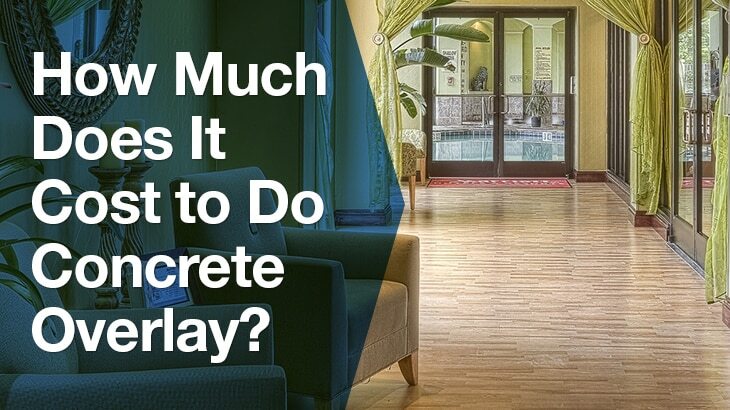 Staining a concrete slab will cost $70 m2 on average. This involves the preparation of your concrete slab, the treatment and the sealer. The beauty of such concrete treatment is that staining can create interesting and one-of-a-kind shapes and colours. While you can influence the colour of your stains to some degree, it is impossible to control the outcome of staining entirely. The stains remain in earthy tones when the concrete is treated with acids, while the water stains can create much more vibrant colours. Now, you have a better idea about all the available options for your concrete layover. Also, while you have a general idea about the pricing, you don’t have the precise pricing for your own project. As you can see, the prices vary greatly. Get precise quotes for your concreting projects from experts that get the job done. It will help you make your decisions and plan your budget before your project even starts.